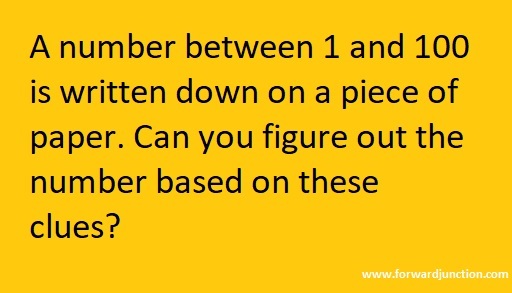 A number between 1 and 100 is written down on a piece of paper. 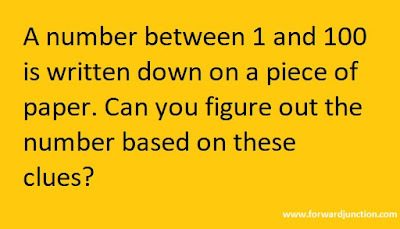 Can you figure out the number based on these clues? 1) Its a two-digit number. 2) The second digit is greater than the first. 3) Its not a Prime number. 4) Its not a perfect square. 5) Its not divisible by 3. 6) It doesn't contain any 8's. 7) The sum of the digits is not a prime number. 8) The sum of the digits is not 8. If you get the right answer, then explain it with steps on the comments section of this post.